Looking back on the Singapore Toy, Game and Comic Convention 2015 (STGCC 2015) it was great to see that companies based outside of USA are starting to make their mark in the collecting community. We all know about the great work put out by XM studios in the last few years, but now there seems there is another Singapore based company who shone at the show. I have to say that in my opinion STGCC 2015 had more on offer than the San Diego Comic Convention 2015. There was more XM studios than I can list, with their Ghost Rider, Thanos, Kraven and even their secret booths with the Star Wars pieces on show, but I think that IA had the piece of the show that stole the thunder for me (No it was not a Thor themed collectible)…. It was their huge 1/4 scale beast…. The Ironman Hulkbuster! 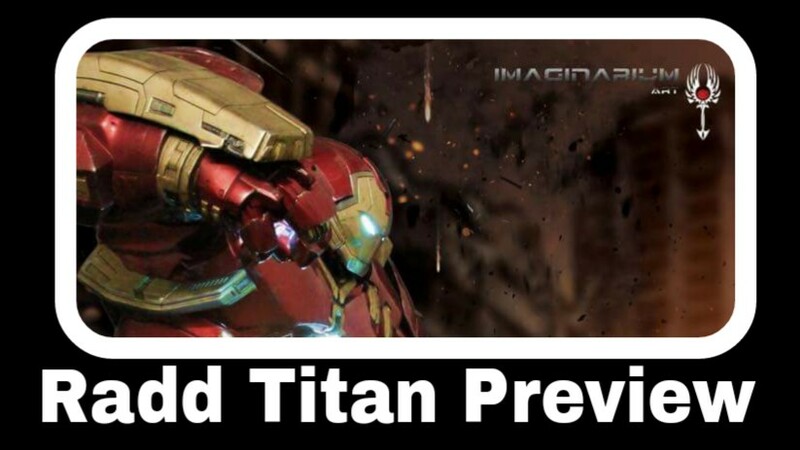 IA’s take on the Hulkbuster totally blew me away.. First of all the look at the size of the piece! We all know that the Hulkbuster is bigger than the hulk himself, but the poor guy in the photograph opposite is struggling with two hands the attach one of the arms. Extras : Statue with come with two pairs of arms so it can be displayed in an attacking pose ready to punch or a defensive pose. ***I have been in touch with the IA owner Danny Lim. He asked for me to say that he would like to thank everyone for all of the questions and messages of support regarding IA’s Hulkbuster project. He has not been ignoring you, I know he has been very busy with the convention and with his recent workload.